This beautiful log home sits on the sandy North shore of Deer Lake with expansive views south across the lake towards Boyne Mountain's Beach Club. 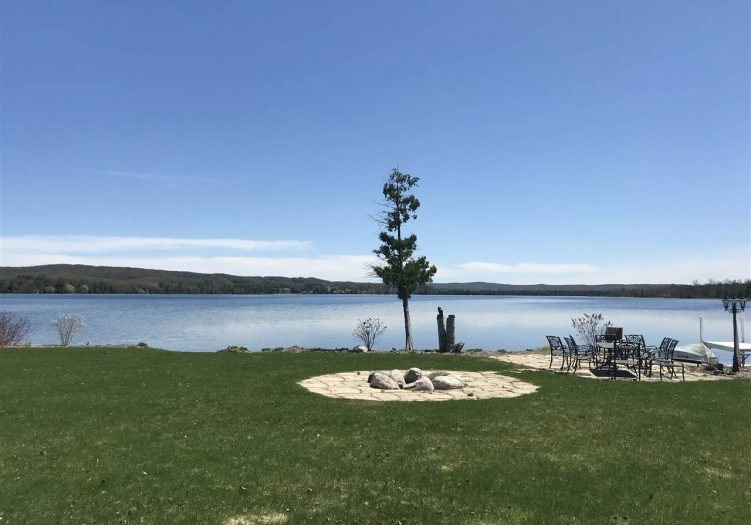 Nearly every room in the house has a view of the lake and the large manicured lawn with lakeside fire pit that is perfect for playing and entertaining. Featuring a large living area, open kitchen and dining room area, a four season room, den, and four bedrooms; this house is perfect for the entire family. Less than two minuets to Boyne Mountain's golf center and the Deer Lake Beach House restaurant; and only 3 miles to downtown Boyne City. This property is in prime location for an active lifestyle. A complimentary Social Membership to the Country Club of Boyne is included, offering access to Boyne Resorts' multitude of amenities.